I did that by making the region's fill brown, and selecting the Inner Glow tool (mode: normal, opacity 80%, blur 0.3 in, edge). 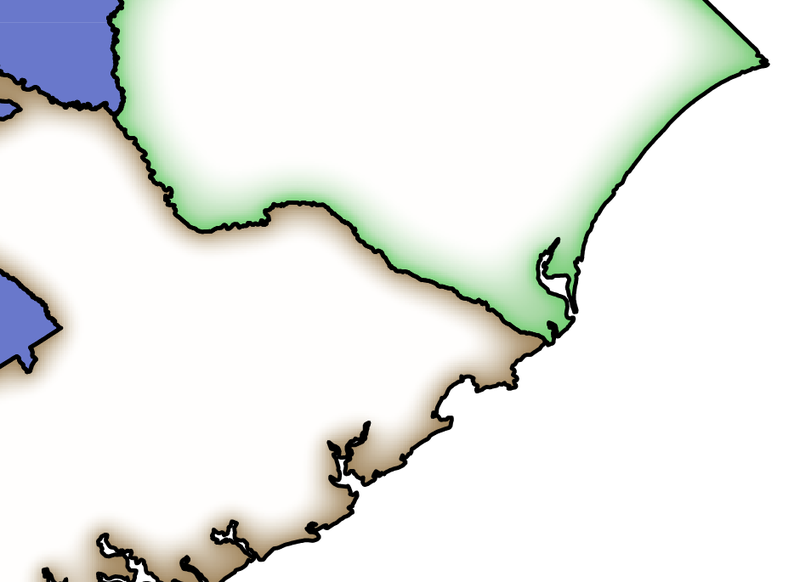 However, problem with that is that the white part of the region is a white fill, so if I layer it on top of my map I won't be able to see all the stuff on the map underneath it. Any suggestions on how to create that effect on the inside of the border in Illustrator? These borders are vector layers, specifically they were created in ArcGIS as vector polygons from a geodatabase, and I exported my map from ArcGIS as a pdf, and opened it up in Illustrator to work on this. I would appreciate any help! Here's an example that uses an opacity mask to create the opening and the inner outline. 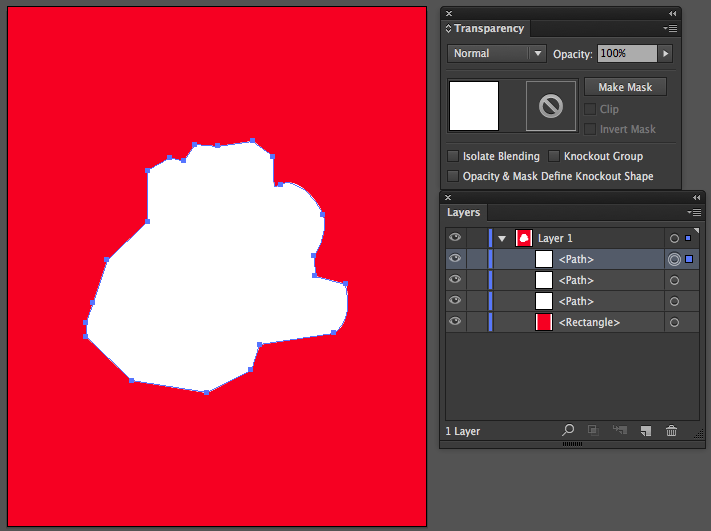 I'm using a red background just to clearly set apart the other objects that will appear above the background. Create a white fill (no stroke) object. This will be the stand in for a region. In the Layers panel, select the middle object (click the target selection button on the far right side) and fill it with the color that you want to appear as the inner outline (no stroke). Select the top object and fill with black (no stroke). This is the layer that will mask the color layer and reveal the inner outline. 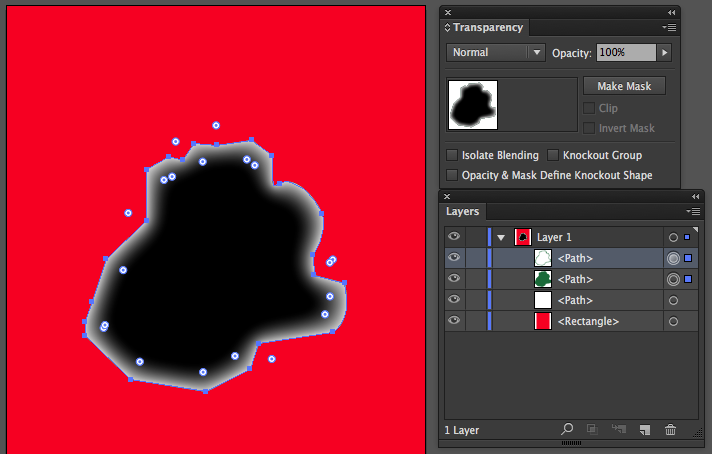 With the black object selected, use the Appearance panel to apply an Inner Glow effect. In the Layers panel, select the top/black and middle/color objects (hold Cmd or Shift while clicking each target selection button). In the Transparency panel, click the Make Mask button. The result is an inner glow outline that matches the desired color and reveals the white shape that's sitting below. If the intention is to reveal the entire background, that's fine, too. Turn off visibility to the bottom/white shape and you'll see that the center of the shape is transparent. 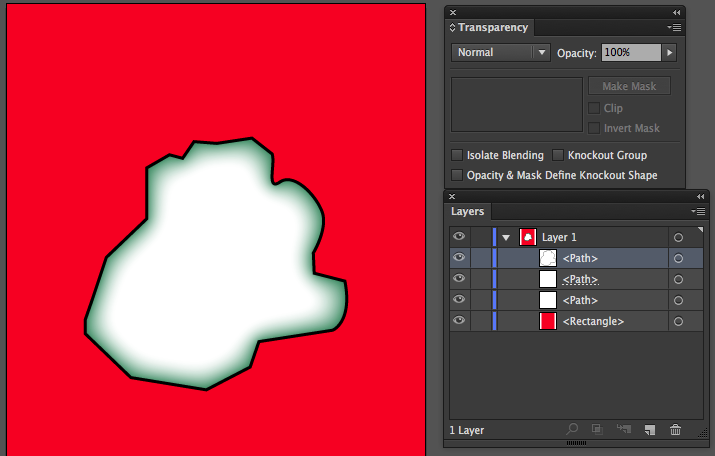 If you need to edit the color or Inner Glow effect settings, just select the masked object. 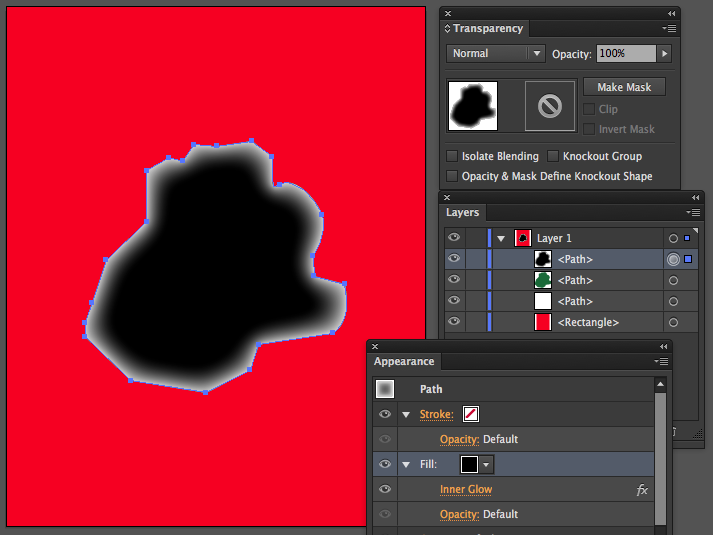 The masking object and color object will appear as one layer with it's name dash underscored. In the Transparency panel, click the "Release" button to release the mask and return to two separate layers. In order to apply the black borders, you'll want to make another copy of the white shape, set fill to none and stroke to black, and then move that to the top of the stack. Not the answer you're looking for? Browse other questions tagged adobe-illustrator pdf cs6 stroke maps or ask your own question. 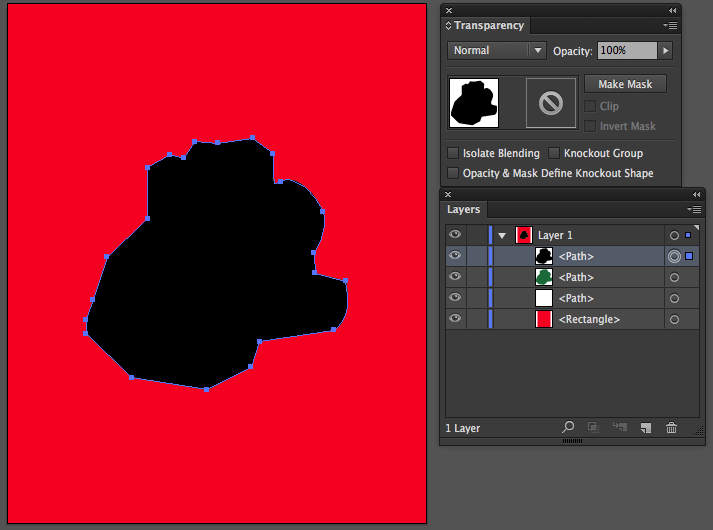 Outline of my shapes, but I have no stroke selected?